READ THE DISCLAIMER ON THE ‘ORDERING PLANS’ PAGE BEFORE CONSIDERING ORDERING AND USING THESE PLANS! 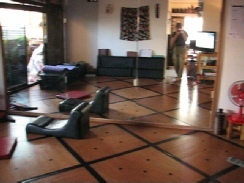 I built my first reformer and chairs in 2001 for my small Toronto studio. I learnt a lot from building them. 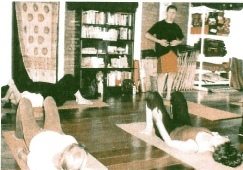 From 2004 to 2013 I spent a number of winters teaching Pilates in Northern Thailand. 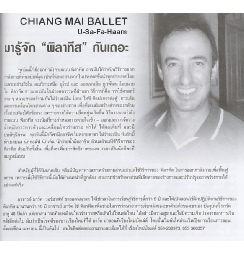 As well as teaching Pilates to the Chiang Mai Ballet, I also taught at my own studio. And I built all my own equipment!! I built a Ladder Barrel and Reformer in the parking lot of a ‘guest-house’ I first lived in. 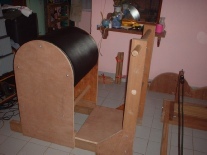 I build strong simple functional equipment. I have a good eye for it. Later I set up my studio with more self-built, self-designed Pilates equipment - chairs, wall unit, spine supporter, spine corrector, etc. I also built a few more reformers - getting great experience in building simple elegant machines. My equipment is simple to build. Doesn’t need any specialized tools. Can be built with normal materials. And does not need any specialized machining. My plans don’t even call for any welding (although I do provide some welded steel options in some plans). Pilates-Equipment-Plans.com is part of my PilatesBreath.com Group. My name is Mark, and I have been a high-level Pilates instructor since 2001. As well as developing a unique and powerful approach to understanding Pilates, I have also designed and built a whole range of Pilates equipment.